After an almost 200-year absence, Red-and-green Macaws have been reintroduced to their former range in Argentina. The first individuals have now been released back into the wild in north-eastern Argentina, the first results of a concerted reintroduction scheme in the country by BirdLife Partner Aves Argentinas to bring this giant of the parrot world back to its former range. 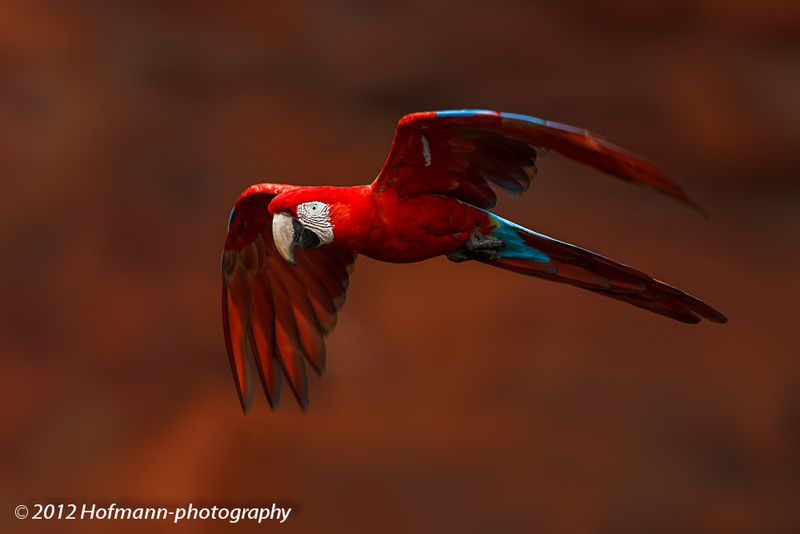 Macaws have been historically persecuted by humans because of their colourful plumage. Historically there were at least two species in the province of Corrientes, north-eastern Argentina: Glaucous Macaw which became globally extinct, and Red-and-green macaw, which disappeared from the region but remained extant in other Amazonian countries, with a limited distribution. Both macaw species inhabited fields with patches of jungle between estuaries, and palm and gallery forests along waterways. Today the only Red-and-green Macaw populations close to Corrientes are more than 180 miles to the north in the states of Mato Grosso do Sul and Parana in Brazil, in extreme northern Paraguay, and in south-eastern Bolivia, where they are not sufficiently protected. The species is listed in the IUCN Red List as a species of global Least Concern, but in Argentina it is classified as a Critically Endangered species, although there are no recent records and the species is considered extinct there. Because of the precarious state of Red-and-green Macaw's survival in Corrientes, a recovery project was begun. Fortunately, the Ibera Natural Reserve represents a unique opportunity to save the species because there is a large area of protected habitat sufficient to allow forest islands to harbour a stable population of macaws. Additionally, in Ibera there are institutions and experts with experience in working with the restoration of extinct and endangered populations of species. Another positive development is the growth of ecotourism in Ibera, where the presence of these birds will attract tourists, contributing to the economic development of local communities. The ongoing project focuses on using captive Red-and-green Macaws originating from several zoos and breeding centres around the country. Groups of the birds are consolidated near the region, with health checks performed to prevent potential diseases spreading in the wild following the birds' release. Before this, the birds spent several weeks in an acclimation aviary in the Cambyretá area, proving the northern access to the Esteros del Ibera. There, they learn to feed on native fruits and develop other skills for reintegration into the wild. The released birds are equipped with small radio transmitters to allow each individual to be followed in the field. After release, the macaws' status, reproduction and long-term survival are monitored by project staff. Several groups of volunteers, including scouts, schools and birding clubs, help to spread information on the project and contribute their observations of birds in the field. Through this initiative, Argentina has regained its first extinct breeding species from the captive breeding of wild birds, and will continue working on their recovery through intensive management. For more information, visit: www.proyectoibera.org/guacamayo.